The most safe and fun way for your child drive a vehicle! Go karts are likely one of the most fun creations ever to be made on this green and blue planet. Children can drive these miniature cars around the neighborhood and race their friends in a clean race. Bear in mind, though, not all go karts are what you would see in the movies or on a sports channel. 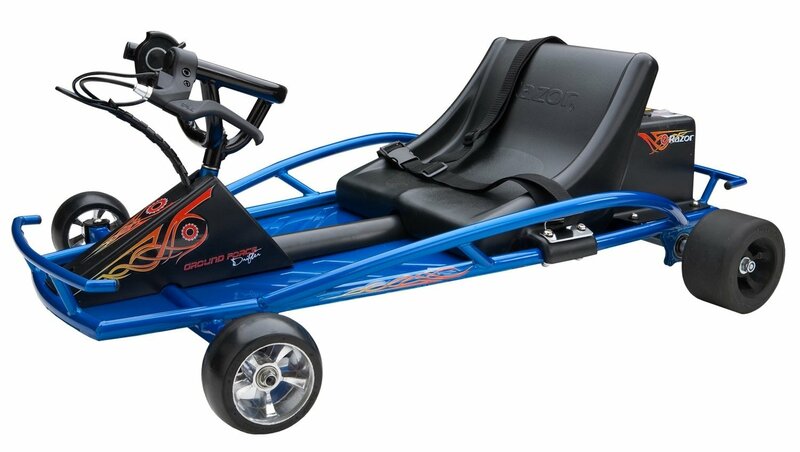 Those go karts are specifically designed to go fast for stunts or amateur and professional racing purposes. The go karts that we’ll be reviewing today are much more child-friendly and by far safer than those racing ones you see on TV. 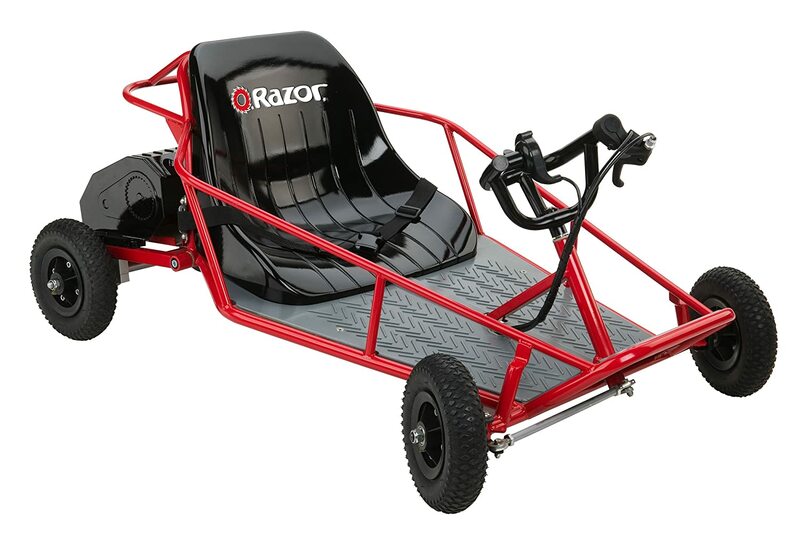 The Razor Ground Force go kart has a really quiet ride with its battery-powered and chain-driven engine. Its power system is made up of two batteries of which each has a 12V output. The design includes a bucket seat for a comfortable ride as well as extra support for when taking corners. The throttle can brake controls are not traditionally placed as pedals, instead they’re placed on the steering wheel for better control. 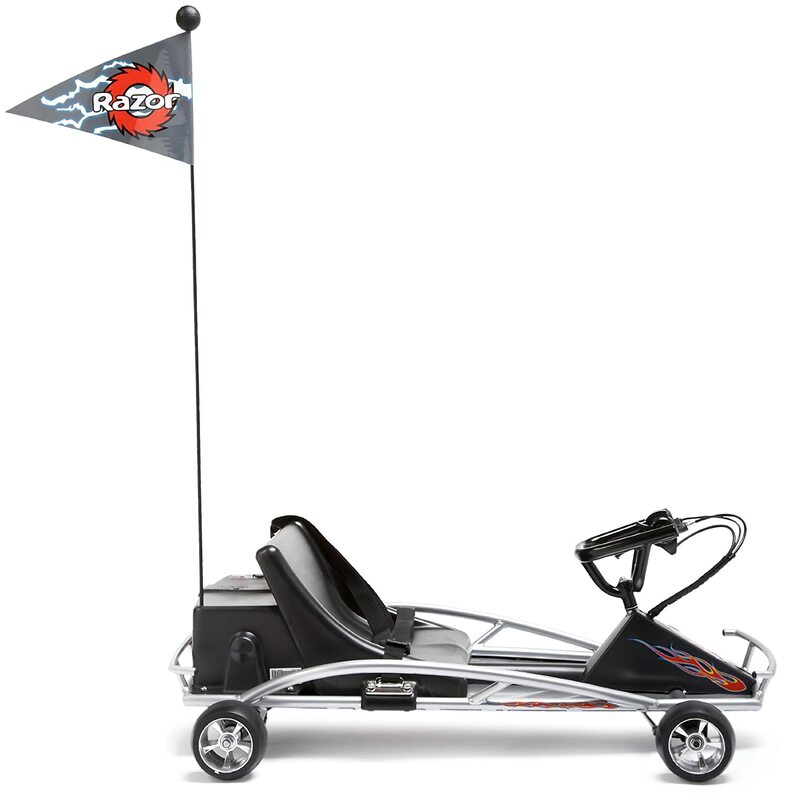 The Razor Ground Force is set apart from the other go karts due to its charging time. Other go karts average at about 12 hours of continuous charge to get the batteries all juiced up, but this only requires around 4-6 hours to perform the same task and still get about 45 minutes of race time out it. Unlike other models, instead of only allowing one use per day, this one can be charged twice a day and driven twice a day. That’s more than enough to satisfy the racing needs of any youngster. Quick charging time compared to other go kart models. Easy-to-use throttle and brake controls. Can’t drift or perform powerslides. Here we have the fastest go kart on the list. The MT-GK-10 does a wholloping 30 mph! That might not seem all that overwhelming, but when you compare it to the speeds of all the other go karts on this list, then it’s a different story. This go kart, unlike the others, has a 49cc, 2-stroke engine — which is the reason that it can reach speeds of up to 30 mph. To make things even better, this fella can drive for 20 miles nonstop on a full tank. The design of this awesome go kart is something similar to that of an all-terrain vehicle. It has some decent ground clearance, a sturdy frame, a wide wheel base, and pneumatic tires that are made to absorb all the bumps and stones that one would encounter if going off road. The throttle and break system on this go kart are much like the previous one — located on the steering wheel. However, this one doesn’t quite have a steering wheel, instead, it’s more like a handlebar of a bike. This could prove to be an adaptation for kids who aren’t all too familiar with riding bikes. Is the fastest go kart in its class. Is made to go off road too. The EzyRoller isn’t like your usual go kart, instead, this one is classified as a “sit-down” scooter. Despite it not being labelled as a go kart, it could still easily get away as being one, or at least some rendition of one. What makes this one stand out is the fact that it does not require any motor to get moving. All it needs is the leg power of a child, and off they go! At the front of the EzyRoller is a footrest that is shaped like a handlebar. A child would place his or her feet on the bar and alternate their leg movement in order to build up momentum to get the wheels rolling. The low ride of the EzyRoller will allow for sharp turns at moderate speeds. There is also a brake lever in the design so that the breaks can be applied in the event that an emergency stop is required. 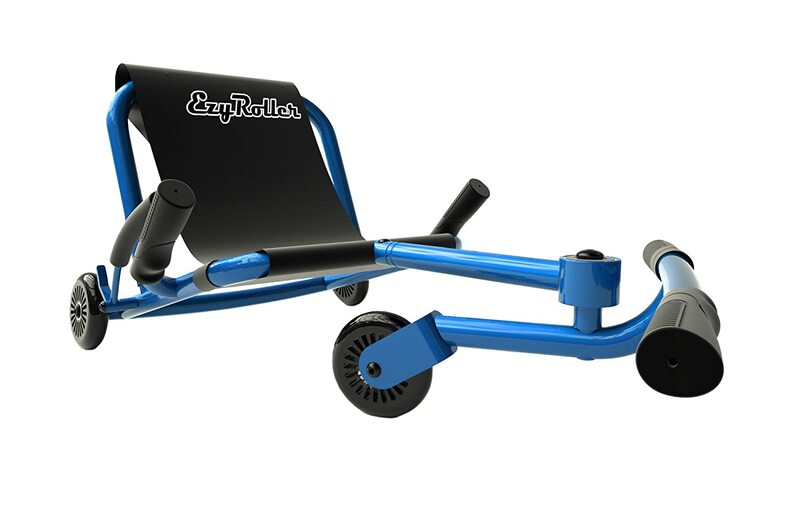 The locomotive requirement to move the kart can help strengthen the leg muscles of a child. It’s a very smooth and sleek ride. Low center of gravity allows for better handling. The foam padding on the brake pads aren’t very durable and need to be checked frequently. 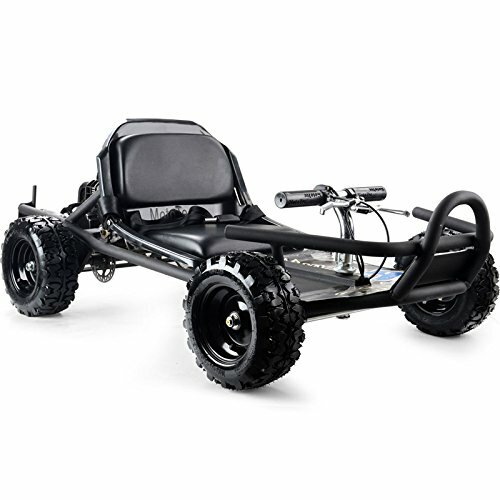 Razor Dune Buggy is a compact little go kart that your kids will enjoy both on and off road. This go kart has a chain-driven, 350-watt electric motor. As with all electric motors, the torque is superb! That means that your kids will be able to get up to speed upon takeoff. Don’t worry, though, this go kart only has a top speed of 10 mph. Although the Razor Dune Buggy has treaded tyres, that doesn’t mean that it has full off roading capabilities. Don’t expect to take this guy up a mountain and expect to be the victor. Instead, try riding it on some flat dirt roads, because that’s about as off road as you’ll get with this one. The Dune Buggy is constructed using tubular steel which is strong enough to support the weight of any 10-year-old who takes this machine for a spin. Has a real suspension system in place. Can ride nonstop for 40 minutes. Here we have a go kart for kids who intrigued by the act of drifting. With its specially designed wheels, the Force Drifter will provide your kids with all kinds of sideways fun! Like with most of the kart designs, the Force Drifter too has the brake and throttle controls on the steering wheel of the kart. The elongated, low chassis of this drift kart helps with going sideways. With the center of gravity being so low, it highly reduces the possibility of the go kart tipping over while a child is in the middle of a drift. This go kart is powered by a 24V electric motor that is nearly void of any noise. It has manual speed adjustment on the steering wheel. Includes a handbrake to help initiate a drift. The wheels are specifically designed for drifting. There are reports that its charging system becomes less effective after a couple of months. Another drift kart for the win! Although this might be similar to the EzyRoller in looks, this three-wheeled kart is powered by a 12V rechargeable electric motor. The electric motor in this one has the ability to power a 30 minute drive but requires a continuous 12-hour long charge. 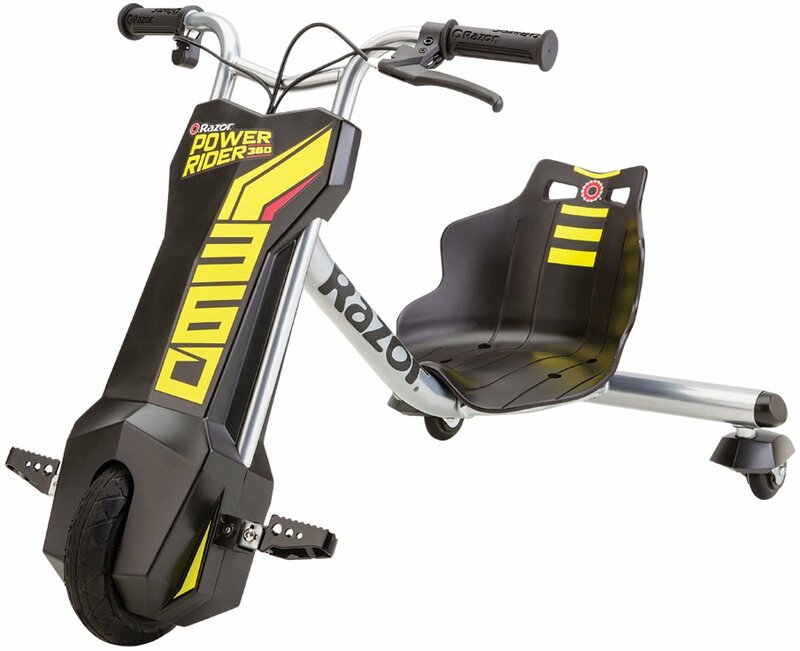 The Power Rider’s two rear wheels are attached to swivels. It’s due to that fact that the Power Rider is able to perform drifts and 360 spins. With its low center of gravity design, this kart won’t tip over while your child is busy throwing donuts or sliding around a corner. The throttle and braking controls are built into the handlebars for better control and accessibility. Designed for drifting and can perform 360-degree spins. It’s really easy to initiate a drift. It may take a while for a child to get used to the handling. For parents who like to exercise caution, the Actev Arrow Smart-Kart is the way to go. This go kart has technological features that the other karts don’t. For example, it has an onboard computer which parents can gain remote access through the Wi-Fi. Of course, they’ll have to download and install the Actev app in order to do so. The controllable features include setting a speed limit on the go kart as well as control over the brakes. The speed limiter won’t be all that necessary for older kids as it would be for your younger kids who want to go for a spin on their older sibling’s go kart. The design of the Smart-Kart sets it apart from the others. It has the traditional design of a go kart with acceleration and brake pedals. To add to that, there is also an emergency stop button that your child can engage in case they need to come to an abrupt stop. This kart is powered by two electric motors that provide up to 40 minutes of drive time. Has a traditional go kart design. Is accessible and controllable through a mobile app. Includes an emergency stop button. Kids could get annoyed with parents for controlling the go kart from their phones. Finally, a go kart that can seat two kids! This one will undoubtedly provide your kids with fun as they can take trips with a friend instead of going at it solo. The Dune Racer features a tough-looking design that could take on any obstacle! However, it’s designed for kids, so the likelihood of it conquering mountains are fairly slim. But that’ not to say that your kids won’t be able to go on superb “exploration” trips! This go kart has a 12V electric motor and three gear speeds; 2.5-5 mph (forward) and one reverse gear that drives 2.5 mph. The low speed settings of this kart makes it an ideal choice for the younger kids because it’ll be much easier for them to have control over the kart. Has three gears; two forward and one reverse gear. This kart has a tough design to withstand “bundu bashing”. The slow speed might make it unsuitable for older kids. Here we have another “human powered” go kart for you. If you don’t want your child racing around in the neighborhood in a motor-powered go kart, then we present to you the Ride On Pedal Car Go Kart! This go kart is classified as a pedal-powered kart. It has the same principles as a bicycle, except for the fact that you’re sitting back quite comfortably. The design of this kart is made so that your child would ride in both style and comfort. This one also has a bucket seat for that extra support when taking corners. 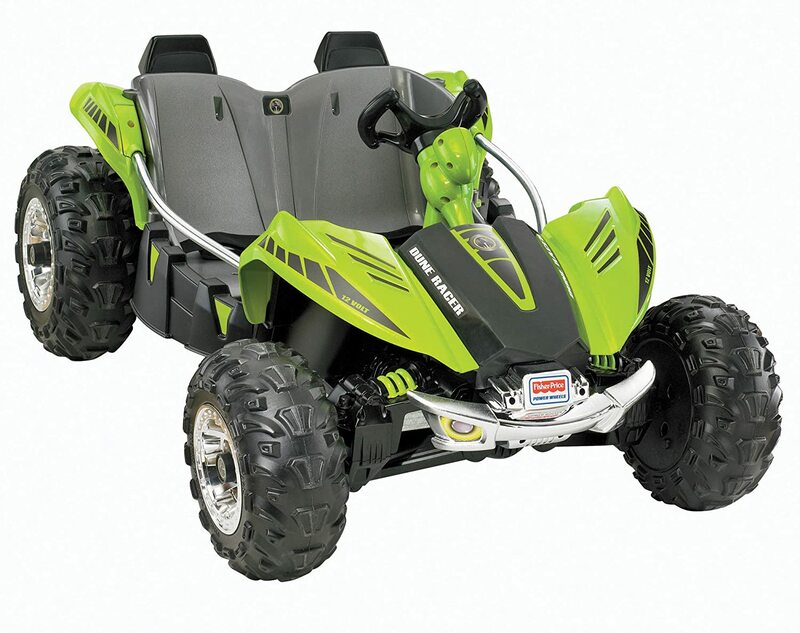 It’s high profile wheels will allow your child to take on the outdoors with relative ease. Unfortunately, the brakes are located on a rather unusual location right next to the rider. It’s not all that bad, though. The speed limit is set by how fast your child can pedal. The high profile tyres make it an all-terrain go kart. The wheel alignment needs to be checked on a regular basis. This cool-looking, pedal-powered go kart is designed specifically to mount Nerf toy guns. 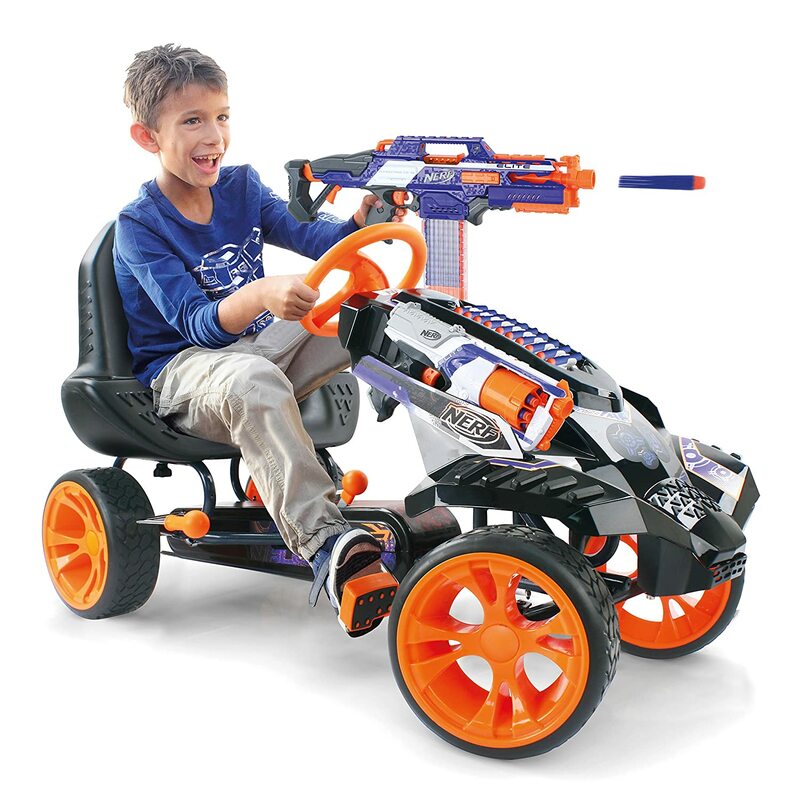 The Battle Racer has the capacity to mount four Nerf guns as well as some foamy ammunition. 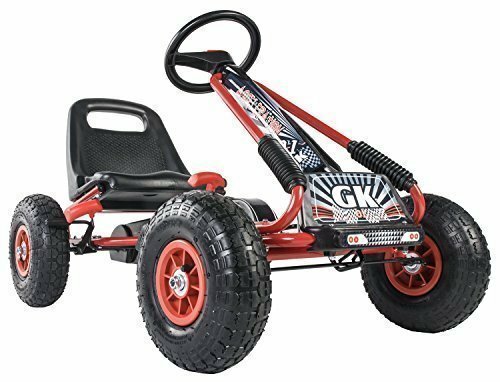 This go kart is also powered by the power of legs and will provide you kids with some quality exercise as they ride around fighting in their neighborhood Nerf battles! The armrests of the go kart’s seat are hollowed out for extra Nerf dart storage. On the hood of the go kart are even more storage slots for that extra bit of ammo. The entire design of the Battle Racer is typically that of Nerf; the colors, sharp lines, etc. 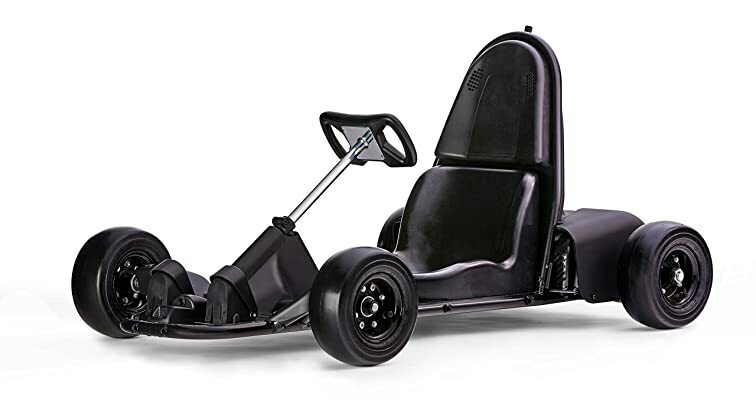 Setting aside the ammo capacity and storage features of this epic go kart, it has all the standard design features of your typical pedal-powered go kart. The brakes are located at the side of the rider, much like the previous go kart. Can store 4 Nerf toy guns. There have been issues reported associated with the steering wheel. There are many go karts out there on the market. However, we’ve combed through them and brought you our top picks that will be both fun and safe, especially for kids under the age of 12. If your child is asking for a go kart for their birthday or just because they want one, then we hope that this article helped you, as a parent, to make the most informed decision that you possibly could! Below is a table for comparison and reviewing purposes. Freelance writer and family man who is an expert at reviewing toys for kids. Favorite areas to cover is sports, outdoors and video games.